When will be The Cupids Series: Kammathep Hunsa next episode air date? Is The Cupids Series: Kammathep Hunsa renewed or cancelled? Where to countdown The Cupids Series: Kammathep Hunsa air dates? Is The Cupids Series: Kammathep Hunsa worth watching? Hunsa is a clumsy girl. She never had a boyfriend but would always make up stories about having one to her coworkers. It's because of her clumsiness that she always end up quitting her jobs. Finally, she finds a job as a Public Relation of Cupid. She has a dream of finding her soulmate in Korea. Tornpitaya or Tim is a famous businessman. He ends up having a scandalous picture at Cupid Hut's party with Angie, who is a columnist. When it was revealed, it ruined his image. He accuses Cupid Hut. Hunsa's boss orders her to block Tim and so she does. Tim Tornpitaya is a strict and staid guy. He doesn't like Hunsa's clumsiness. Hunsa and Tim must live together on a yacht. Finally, Tim enchants Hunsa. After that, he pesters her all the time. Meanwhile, Tim is malicious by a close relative. It is company rules that a worker cannot love a customer and Tim is pestered by a girl named Cindy who is an editor of Pink Lady Magazine. 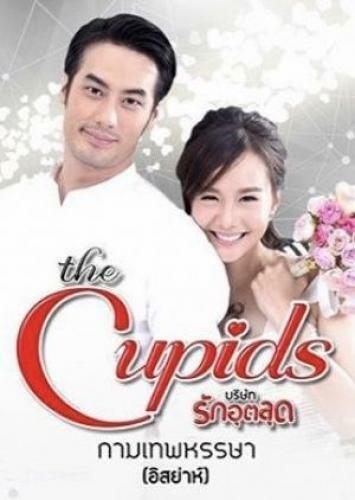 The Cupids Series: Kammathep Hunsa next episode air date provides TVMaze for you. EpisoDate.com is your TV show guide to Countdown The Cupids Series: Kammathep Hunsa Episode Air Dates and to stay in touch with The Cupids Series: Kammathep Hunsa next episode Air Date and your others favorite TV Shows. Add the shows you like to a "Watchlist" and let the site take it from there.